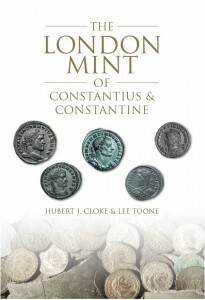 A comprehensive catalogue and survey of the output of the London mint from AD 296 to 325. From when Constantius invaded Britain to regain the Britannic Empire back from Allectus to its closure in 325 when Constantine began to shift his power base to the East, the London mint was responsible for a vast output of Roman coinage. 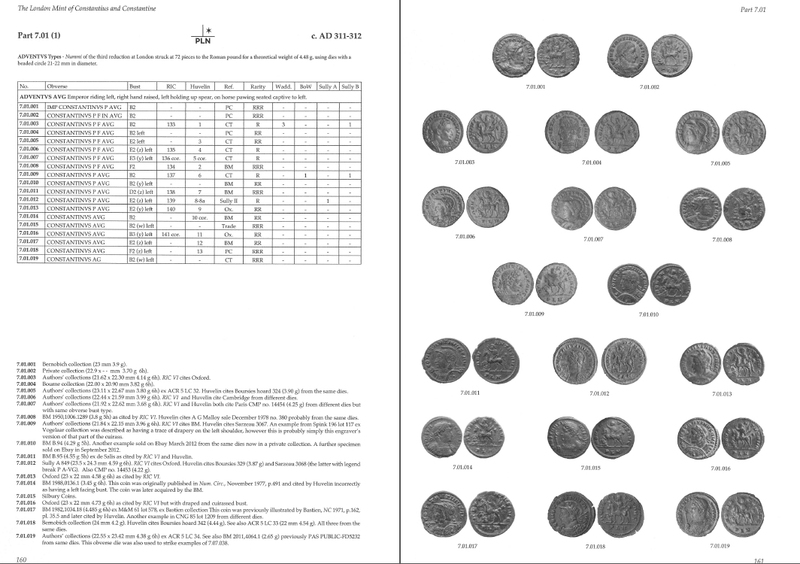 The Roman Imperial Coinage (RIC, volumes VI and VII)) records around 600 types; the authors of this book have increased the number of known types to 1,037 and have illustrated 90% of these with images on plates facing the catalogue tables in sylloge style. They have also provided a hoard census which lists numbers for each type found in four major hoards. 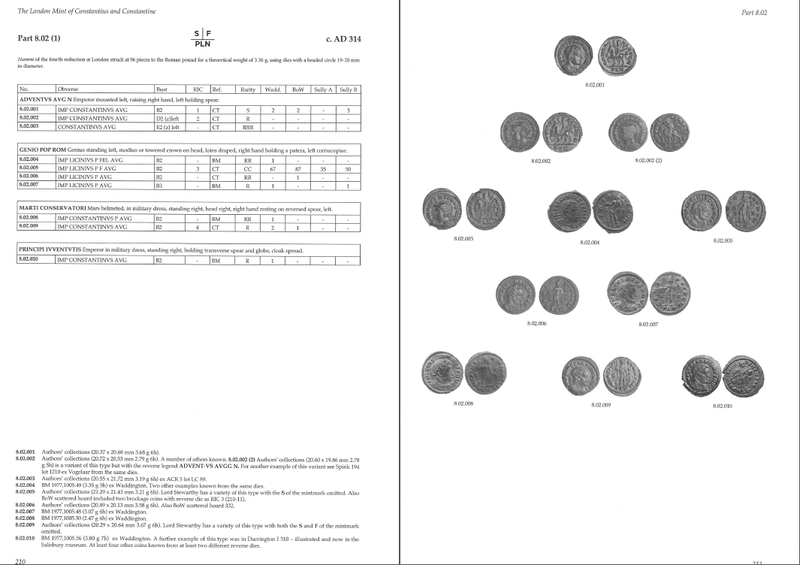 This enables an objective rarity value to be assigned to each coin type. 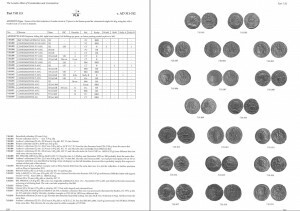 Supported with a comprehensive narrative, indices and a concordance with RIC, this will become the standard reference work on the London mint for years to come. Corrections will be regularly published on this website – see here. Additional coin type entries will be published here. Further information is available from Spink here. In the US copies of the book can be obtained from Charles Davis here. Sample catalogue pages – these are lo-resolution and are simply to give an illustration of the content. The actual catalogue is of a much higher quality.